The historic Hailey Rodeo Grounds at the south end of town will have a new name sometime soon. It will incorporate the name of the original donor to the park, Leopold Wertheimer. 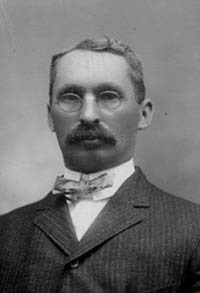 Wertheimer was a director of the Hailey National Bank in the early 1900s. He donated $1,000 in 1913 to the city to refurbish the area, which at that time was used as a horse-racing track. For many years, the rodeo grounds were reserved for equestrian activities. Now city leaders are hoping to rename the area to represent its new features, which include a world-class skate park and a planned hockey rink. Following an extensive public comment period, the Hailey City Council voted unanimously on Monday, Dec. 17, to use the name of Leopold Wertheimer, but in what context remains to be seen. Resident Geoffrey Moore suggested naming the skate park at the rodeo grounds the “T.C. Andrews Skatepark,” to honor the local skater who he said was the inspiration for gathering funds to build the skate park more than 10 years ago. Mayor Fritz Haemmerle said he would take all suggestions into consideration and hold a public hearing at some time in the near future to make a decision. Wertheimer’s family emigrated from Germany to New York in 1872. He moved from Cheyenne, Wyo., to Hailey in 1884 when he was 30, continuing the family clothing business, ranching and lending money.